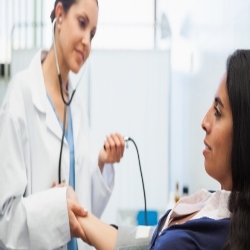 High cholesterol has become a major concern for millions of patients around the world. Unhealthy food habits and improper diet leads to high fat and cholesterol levels in body. This increases risk of cardiac disease. Treatment options for high cholesterol include cholesterol-lowering drugs, changing food habits, and exercising regularly. Omega-3 fatty acids and fish oil supplements help in reducing cholesterol as well. A diet rich in fish and seafood is great for treating high cholesterol. High cholesterol can be easily controlled. Let us try to understand more about how to treat high cholesterol. It is a widely known fact that meat contains protein in it. However, it also contains high fat content, which is harmful for health. High fat-containing products increase cholesterol. Try to reduce dairy products in your diet, like cheese. Avoid eating red meat. 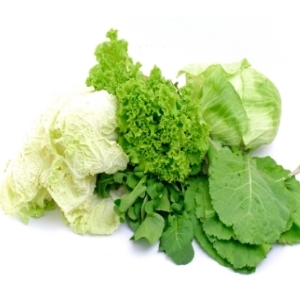 Eat green leafy vegetables. Increase raw vegetables in diet, like carrots. This helps in reducing cholesterol. Our body burns fat when it does not get it from diet. Foods that have low fat content help in reducing cholesterol. Body weight plays a significant role in high cholesterol. Individuals who have high body mass index (BMI) commonly have large fat content in their body. This means they have high triglyceride levels. This increases risk of high cholesterol. It is important to reduce your weight if your BMI is high. Try skipping a meal everyday and compensating the nutrients lost with food supplements or juices. Increase dry fruits in your diet. Right body mass index significantly helps in treating high cholesterol. Doctors often prescribe different types of medications to treat high cholesterol. 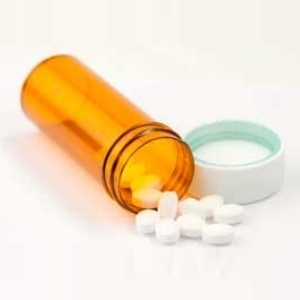 These medications include statins, bile-acid resins, and cholesterol absorption inhibitors. Among these, statins are the most commonly used cholesterol-reducing medications. Statins play a critical role in inhibiting production of low-density lipoprotein (LDL). This process takes place in the liver. Commonly prescribed statins include Atorvastatin, Simvastatin, and Pravastatin. Other drugs include fibrates which work towards increasing high-density lipoprotein (HDL) and reducing LDL. The type of medication prescribed depends on severity of high cholesterol. These are essential fatty acids. Our body requires them on a daily basis. People who eat a regular diet of seafood are known to have less cholesterol levels in the body. This is because sea foods are rich in omega-3 fatty acids. 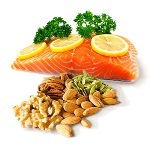 You can supplement your diet with omega-3 fatty acids or fish oil tablets. It is wise to consult with your doctor before trying these supplements. Increasing sea food also helps in reducing cholesterol levels. Foods prepared with garlic also help in reducing cholesterol levels. There is no substitute for exercise. It plays an important role in burning fat. It also helps in improving body’s natural defense mechanism. This helps in treating high cholesterol in the long run. Exercise also helps in burning excessive calories. Eating low-cholesterol foods in high quantities can also lead to weight gain. This increases risk of high cholesterol. Exercise also enhances liver function. This helps with production of HDL, which is good cholesterol. This consequently helps in treating high cholesterol. Millions of people around the world suffer from high cholesterol. It is a very common health condition. Making changes to your diet is highly important to cure high cholesterol. The above-mentioned treatment options are effective in lowering cholesterol levels.